Two Sheets to the Wind is Craig Roberts on guitar and Mike van Dongen on violin. 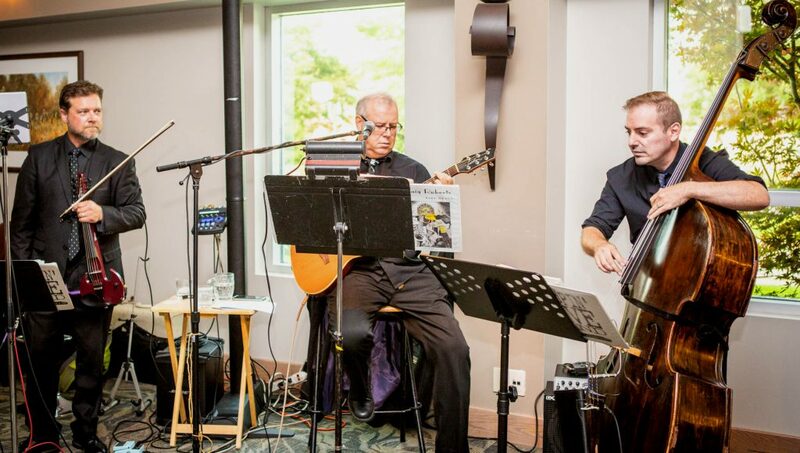 This eclectic duo performs Celtic, Maritime, Jazz and Contemporary Music. Bassist Clark Johnston joins Craig and Mike at the Syndicate Restaurant Patio in Grimsby.